Literally translated from Manipuri, Ema Keithel means mothers’ market. Wholly operated by women, it is a one-of-its-kind concept in Asia. Built in around 1533 AD, Ema Keithel is also one of the oldest markets, and has retained its tradition to date. A still from from the film, Ema Keithel, by Nikita Kala and her production team. How do you define women empowerment? A lot has been written about it, and a lot spoken and exhibited, but where do you find the real meaning, and the realisation, of empowerment? To find an answer to this, we may look East, or say Northeast. Long before the word, empowerment, was intentionally suffixed to ‘women’ for its need to be felt in this part of the world, there was one group of women who shed all the shackles to assert their right to financial independence. And Ema Keithel was thus born. Ema Keithel defines women empowerment, in true sense of the term. Literally translated from Manipuri, Ema Keithel means mothers’ market. Wholly operated by women, it is a one-of-its-kind concept in Asia. Built around 1533 AD, Ema Keithel is also one of the oldest markets, and has retained its tradition to date. From fish, vegetables, bamboo and metal craft, to traditional dresses, jewellery and herbs, you can find thousands of Manipuri women entrepreneurs sell everything under the sun at the market every day. 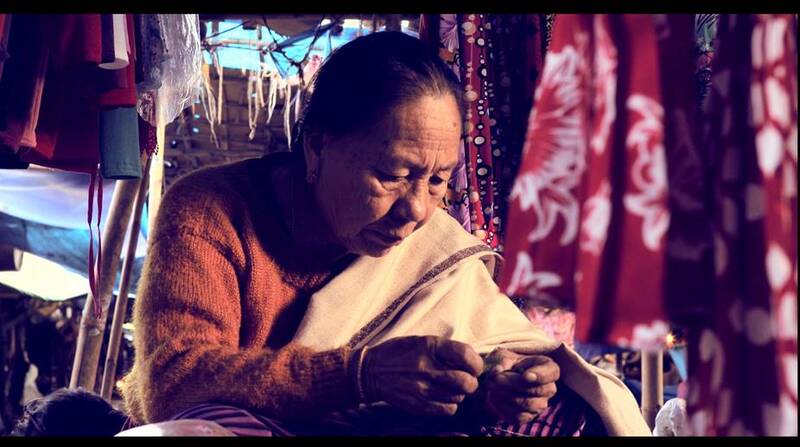 While not much has been written and documented about it, the unique women’s market in Manipur caught the attention of this debutante art director who decided to make a film on it. A still from Ema Keithel. Nikita Kala, who is a stylist too, says “knowing something (Ema Keithel) like this exists” excited her so much that she decided to document it without even thinking about the funding. “Northeast is highly ignored. We have such history, talent and real life examples which I thought needs some appreciation and following. Ema Keithel is a one-of-its-kind initiative in Asia,” Nikita tells Thestatesman.com. A former finance professional and theatre artiste, Nikita Kala has been a part of many women-centric projects in her capacity as a fashion consultant and stylist. 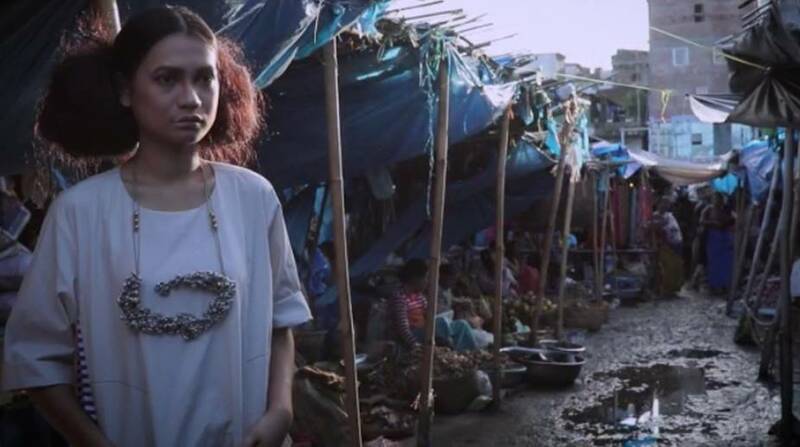 Ema Keithel is her maiden reel venture, a fashion film woven around the theme of the unique economy movement helmed by women of the Northeastern state. A ‘fashion film’ with a nearly five-century-old concept as its backdrop? What’s the connection, you may ask. Nikita’s thoughts are clear on this. “Why can’t all societies have such thought process? Why women in many parts of Northeast are more independent than maybe the rest of the country, and this was way back in 1533AD. The message I am trying to give is ‘Be Mad, Be Crazy, Be Wild’ in whatever you believe in. Don’t boggle down by anyone’s judgment of you. If you believe completely in your mission, everyone and everything will eventually fall in place. Women are especially still in the dilemma ‘to work or not to work’, how to balance family, kids and work life. The Emas teach us how everything is possible if you just believe,” she says. Nikita’s idea is to recreate stories from history to bring forth the present struggles — stories which leave a mark on the youth of the country. Speaking about Ema Keithel, Nikita says she wanted to merge fashion and clothing to express certain emotions of the past. “The styling of the models was done by me to depict the Emas in the 16th century. The make-up and hair brought out the madness and passion and the garments set a drama and a larger-than-life image of those who started this rage,” she says. About the production, Nikita says the team was able to complete the shoot in approximately three days. “I wanted shots of the market at dawn when it is bustling and Emas are preparing for the day. For this, we had to start at 2 am. But before the production started, I had spent some time conceptualising the whole story and getting it in a structured story board form. We were shooting at wee hours and night considering there is lot of reservation about security in Imphal. But, honestly I never felt the tension,” she recalls. Mother of a seven-year-old girl, Delhi-based Nikita says the project is very close to her heart and she has given her soul to it, besides her bank balance. “Being a chartered accountant and a core team member of a start up, I could have lived a more secured life. But I left my journey midway to do what my heart believed in. And my daughter was just two years old then. After much guilt, hardships and hurdles, I have now something to show to the world. I am an Ema (mother) too and I understand what it takes to not follow the norms of the society and the life the society have sketched. 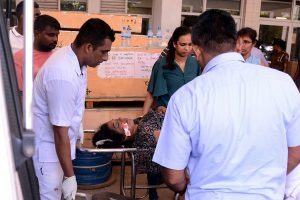 But I am happy I tried, I will be much contended if I can leave a mark on my daughter and many daughters of our country who still have choices to make and a lot on stake through this story of these Emas,” says Nikita. While the film’s concept and direction has been by Nikita, Doney Sanasam is the director of photography, Regan Kh is the cinematographer and Barbie Jain the production manager. Doney, who has done some regional films, she says, is an expert in understanding the soul of a particular shot. Regan Kh is actively involved in the regional film industry and has recently won an Excellency Award. “The idea was to get their talent out in the world,” says Nikita, who has not only worked behind the camera, but can be seen in front of it too. “Being a theatre artist and having performed across cities, I can easily say behind the camera is an easier job than being in front of the camera,” she says. Others featuring as models in the film are Ishwori Ningombam and Dephini Saikhom, who are working in the fashion industry of Manipur, besides Barbie Jain. Gudy Konthoujam, Pinao Konthoujam, Pritam Moirangthem, who have done hair and make-up are also popular names in the film and fashion industry of the state. The outfits used in the film are by Poochki and Lovebirds, and the jewellery has been designed Mayabazaar and Greytone, while the post-production was handled by Mudart. Naad Voim’s original music adds a special character to the film. Nikita says the production cost drained all her savings and she is now looking for sponsors so that she and her team can go ahead and work on more such projects. “This film is dedicated to the Emas of our country. A bow to the rich culture and history we have and a salute to the ones who made this happen for us. I wish this film reaffirms our values and influences every youth to believe in the ‘power of belief’,” Nikita says, hoping she won’t fail to show the world her work and the talent of her production team. “We need to reset our thought processes to think for alternatives. A more sustainable way of marketing and promoting brands with stories that is our identity and our pride,” she says.